Playrion has worked for several months on a tool that enables you to create your own liveries: Airlines Painter. Now we need your feedback, so we launch a REMOTE testing phase in early March! If your application is chosen, you will receive a confirmation email with more details in the coming days. So is this new content coming with A35K? So when will we know if our application has been successful or not? I know a lot of people are excited to test the livery designer out but so far there's nothing but radio silence. My guess is that those who are testing it are all French. The English side of the game is treated like red-headed stepchildren (no offense to redheads or stepchildren). Actually we selected testers randomly and all material at their disposal is available in English to ensure good testing conditions and a feedback from all over the world, hopefully. 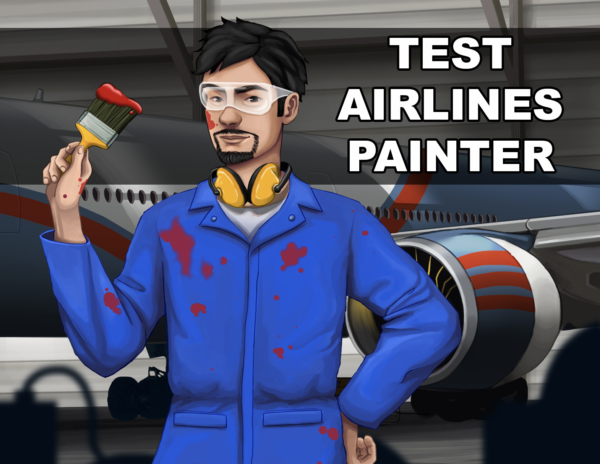 Because of the strong interest shown for Airlines Painter, we decided to publish a FAQ on the Help Center so everyone can find the answers he/she is looking for. I like that we will have a free livery every 15 days! Too bad I wasted waaay to many coins than necessary (back when they were 40AM) by rushing my designs haha. I'm a beta tester but I downloaded the painter app days before I even applied, thought you should know that everybody can download it from the play store, maybe you intended it to be so, I don't know. One thing that kind of bothers me is that the paint is low resolution so it's choppy around the edges, but I guess it doesn't really matter since the airplane preview is so small anyways. Another thing and this is kind of a big deal is that it is almost impossible (for me at least) to paint the tail, winglets and especially the engines without also painting the fuselage, maybe divide the plane into different sectors so you can only pain let say engines and no matter how much you go over the edge it won't paint anything else, just my 2cents. I see the date has changed for the release of Airlines Painter, can you tell us when in April it will be available please? Any news or update on the subject??? The beta is already available and the live version will be released very soon. The beta you mean as in Android version or on the web? I couldn't find it on the web, so I was wondering if it's just me not being able to navigate. And when is B787-10 coming out? The first 78X (9V-SCA) has completed its commercial flight as SQ118 on 03 Apr 11:39 GMT. Yes, I was referring to the mobile version (Android and iOS). A web version will be also available later. As for new aircraft, we never reveal the release date but at least I can tell you it is on the list. We have a very great news for you ! See you on Tuesday for this special day ! In order to avoid any disappointment on the big day, I am truly sorry to announce Airlines Painter’s release is postponed. The reason of this delay is simple: to guarantee the proper functioning of Airlines Painter (and the 2 free liveries at the release), Airlines Manager v.2.7.20 has to be installed. This version has been rejected by Apple for a reason that is still unclear. We have engaged discussions with Apple staff this weekend but the decision is maintained. We will work, starting today, in order to submit a new and valid version. We sincerely did not expect having to face this situation and exchanges took too much time to maintain the release date on Tuesday. 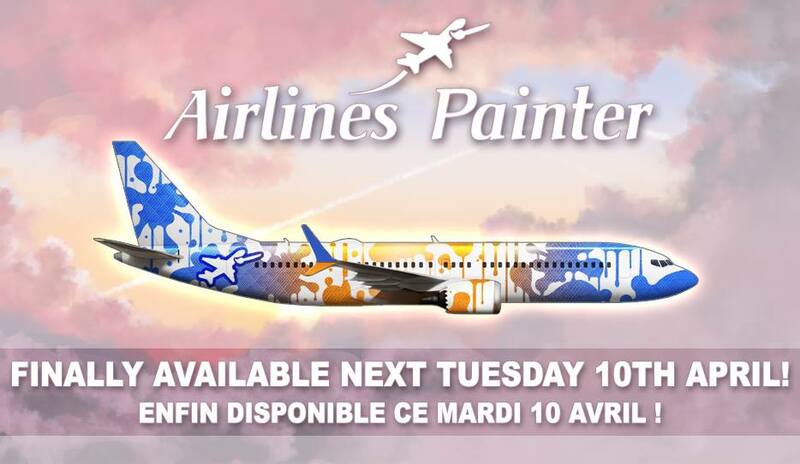 As soon as the version is approved, the new release date of Airlines Painter will be announced. We will work twice as hard to try to maintain a release date for this week (but we cannot promise anything unfortunately). We are truly sorry for this false start and we do our best so the real release meets your expectations.